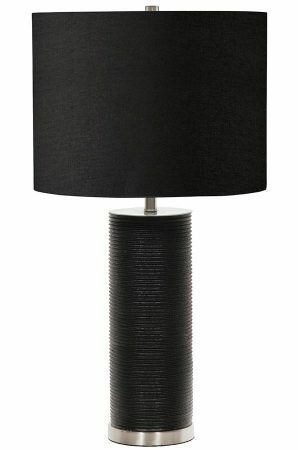 The Elstead Ripple 1 light black resin cylinder table lamp with black shade is contemporary and features a polished nickel base, with column body that resembles stacked CD’s, polished nickel stem and top finial. Supplied with a black faux silk 14″ hardback shade and fitted with a convenient inline cable switch. A classy contemporary table lamp that looks great on a bedroom, living room or dining room table. 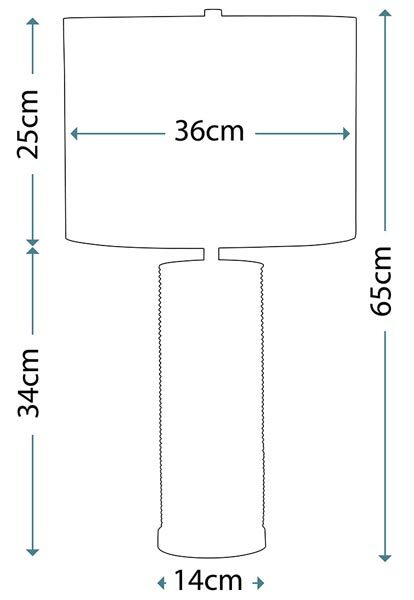 Also available in black with black shade, please see below.